Authentic marketing is the process of communicating openly, honestly and genuinely with customers and other audiences. Authentic marketing can only occur when you are ‘on the same wavelength’ as the person or people with whom you are communicating; it is about finding a natural resonance with audiences so that communication is easy, natural and genuine. This is not a matter of ethics or honesty; it is not a case of learning effective techniques. It is a matter of strategy: Authentic Marketing is Strategic Marketing. It’s not a matter of communicating profitably by using guile, learned techniques or magic words. It is the opposite of ‘faking sincerity’. It is not about saying what the customer wants to hear even though you don’t believe it yourself. It is miles away from trying to be something something you are not, or putting yourself in an uncomfortable position. Authentic marketing happens when you are talking with audiences with whom you can be your authentic self. It’s about deliberately choosing and selecting markets or audiences who want what you genuinely are and what you offer. That means that authentic marketing is the avoidance of markets who do not allow you to communicate authentically or simply don’t get it. The audiences with whom you can be authentic are those who ‘get it’ and ‘get’ you. Authentic marketing means ONLY communicating with the right markets, who get it, and with whom you can communicate authentically. That’s why authentic marketing goes hand in hand with strategic marketing; it’s about choosing the audiences that fit you, your enterprise, your goods and your services. This also involves NOT choosing audiences that don’t fit, that don’t get it, that don’t allow you to express your authentic self. Authentic marketing can only occur when you are connected to the specific markets with whom you can be your natural, real self. Authentic marketing has to involve choosing the right markets. In my book “Chase One Rabbit: Strategic Marketing for Business Success. 63 Tips, Techniques and Tales for Creative Entrepreneurs”, I write about the true story of Nick, an introverted creative, a furniture maker who was uncomfortable with conventional marketing. For him, ‘marketing’ meant being a ‘salesman’, selling to people who didn’t want to buy (or trying to), being slick, smooth and slippery. It just wasn’t for him because it was not ‘him’. This kind of marketing was not consistent with his natural self, his style, his personality. At the same time, Nick was comfortable and authentic with people who were on his wavelength. He was natural and authentic in their presence and they saw him shine, they were hooked by his authentic self. Furthermore, they bought his creative products. The book is available as an eBook, paperback and Audiobook. Full details, reviews, extracts and download links are online here. In the video above, I tell the true story of Nick and how Authentic Marketing worked profitably for him. His story of Authentic Marketing is Section 1 of the book. 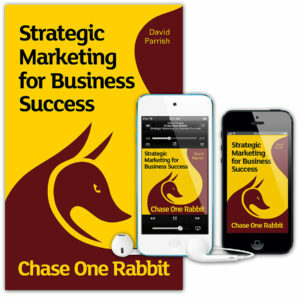 David Parrish is an international keynote speaker and author on marketing. He works world-wide as a marketing speaker and consultant, advising creative businesses, digital enterprises, cultural organisations and other enterprises on their marketing strategies. David has a track record in helping businesses to make their marketing strategies more successful by providing marketing advice that is in tune with clients’ values and objectives. He works in partnership with his clients to devise winning marketing strategies and action plans that deliver successful results. 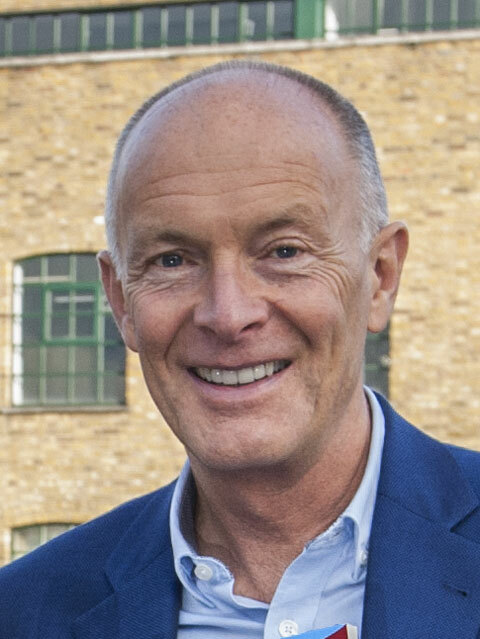 David Parrish shares his marketing expertise through his marketing keynote speeches and presentations, interactive training workshops, books and business advice consultancy with individual clients worldwide.